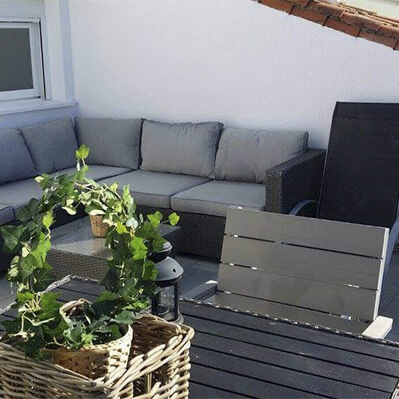 Hyra lägenhet i Marbella ? Vi har 4 lägenheter föt uthyrning. 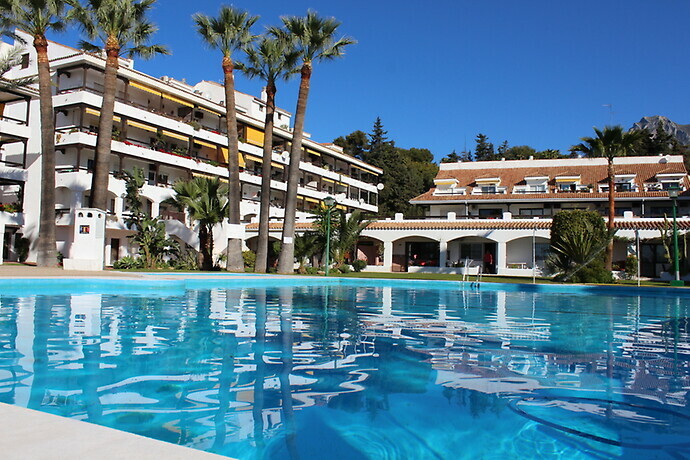 Carolina Park or Parque la Carolina in the middle of the famous “Golden Mile” is a quiet, nice, well-established fenced apartment area with several restaurants, 3 pools (2 large + one children’s pool), it is 1 km to Marbella’s center, only 250 m from the beach (good beach!) and the promenade which you can walk along to Marbella and Puerto Banus. Luxury hotels Marbella Club and Puente Romano are within 600-700 m.
Around the area there are about 15 restaurants within 5 mins walking distance, bars, pharmacies, food stores and other shops. All ages are represented by families with children as well as pensioners and younger people. Good bus connections (45 min by direct bus to Malaga for the bus terminal). Bus stop right in front of the complex. Bar / cafe and restaurant with free wifi within the complex. The area is fenced and guarded and has lots of surfaces where the children can play. 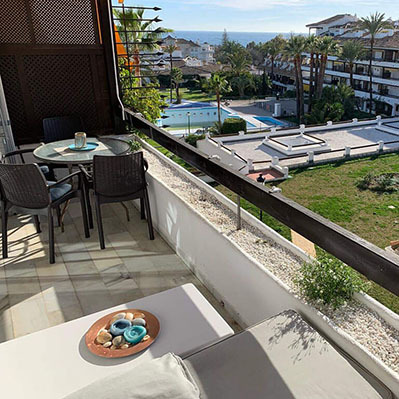 The complex is also perfect for a golf club because there are lots of golf courses in and around Marbella and Puerto Banus. The Costa del Sol is not called without a reason for the Costa del Golf. 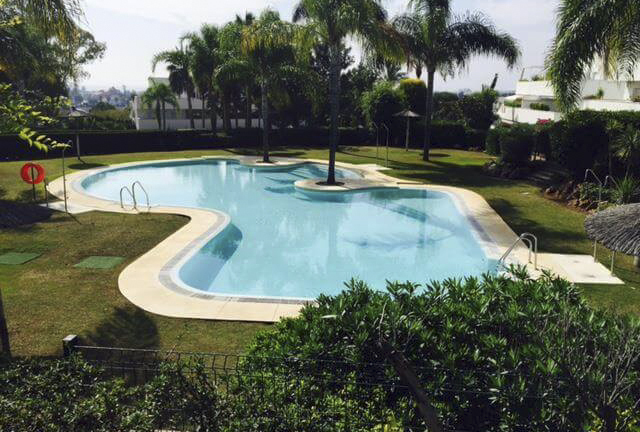 We have 4 apartments in Marbella for rent. 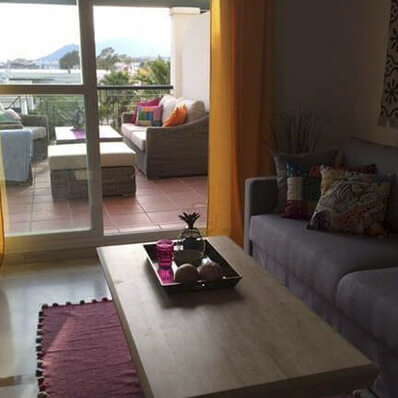 Two of our apartments are located in the Carolina Park Marbella complex. 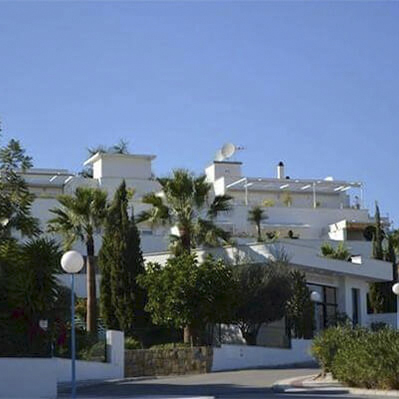 The other 2 apartments are located near the Marbella Padel club.